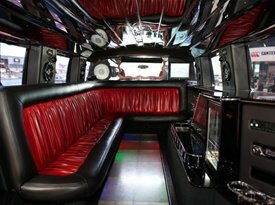 With our Limo Hire services at Lux – we know how to provide the best in cheap Limo Hire services in our White Hummer Limo Hire, Black Hummer Hire & Pink Hummer Limo Hire services. We keep things cheap because we own our vehicles – and therefore have less over heads than others companies and we are a Company and NOT Brokers! The H2 Hummer is perfect for any special occasion – the pink hummer is most popular been used by girls for almost everything – Hen Night Parties, Birthday Parties, School Proms even weddings. Call today for your free White, Black or Pink Hummer Limo Hire quotation on 0800 002 9475 – we work around you and your passengers and often pick up groups from local hotspots such Custard Factory, St Gibb Square, Birmingham, B9 4AA or Broad Street, Birmingham, B15 1DA – just let staff know at time of booking…..